So with the start of the new semester, I'd like to share some thoughts. It's now the second week of classes, and I like them much more than I originally thought I would. I'm slowly getting used to them. I'm busy as usual with school, the DA, the J-school and now the writing center. Still actively searching for a good internship over the summer, but hopefully that comes soon. I think I've made the decision to try out for editor in chief, which is a huge step for me. Hopefully that works out for the best. Speaking of, I'll be meeting with the current managing editor and editor in chief along with the girl who I hope goes out for managing editor to go to dinner. We plan on going to PUGLIONI'S, which is by far the best Italian restaurant I have ever had. I'm not saying I'm a restaurant connoisseur, but I would rank this as one (if not No.1) of my top favorites in Morgantown. 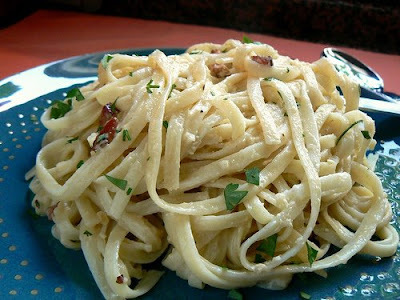 I may take some photos of my favorite dish, Pasta Carbonara, to put up here. It's to die for. They serve salads and homemade bread, and the portions are enough for seconds, maybe thirds! This definitely receives my blessing because it's just amazing. If you haven't tried it yet, do so! Immediately! We got spaghetti ... and blankets. 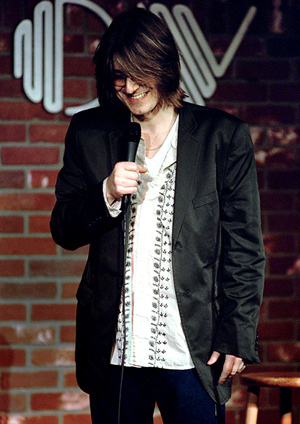 Mitch Hedberg is on Comedy Central tonight. I almost forgot how much I absolutely adore him. I really need to catch up on my comedians. I couldn't stop laughing. Unfortunately, there was a female comedian on right after him, and she just ruined it. I really wish there was a halfway decent female comedian. It hurts me that there isn't. Then again, Chelsea Lately is HILARIOUS. I just wish she did more stand-up. She could make a name for women. Also, the president of the university send me a happy belated birthday e-mail. Shocked? Certainly. How did he even know out of 30,000 students? I'm quite impressed. That will be a saved e-mail.